The things recorded in the Old Testament are Jehovah’s work in Israel, and that which is recorded in the New Testament is the work of Jesus during the Age of Grace; they document the work done by God in two different ages. The Old Testament documents the work of God during the Age of Law, and thus the Old Testament is a historical book, while the New Testament is the product of the work of the Age of Grace. When the new work began, these books became out of date—and thus, the New Testament is also a historical book. Of course, the New Testament is not as systematic as the Old Testament, nor does it record as many things. In ancient times, prior to the Age of Grace people read the Bible, but at that time there was only the Old Testament; there was no New Testament. Since there was the Old Testament of the Bible, people began reading the holy scriptures. After Jehovah’s guidance of him had finished, Moses wrote Genesis, Exodus, and Deuteronomy…. He recalled Jehovah’s work at the time, and wrote it down. The Bible is a book of history. Of course, it also contains some of the foretellings of prophets, and of course, these foretellings are by no means history. The Bible includes several parts—there is not just prophecy, or only the work of Jehovah, nor are there only the Pauline epistles. You must know how many parts the Bible includes; the Old Testament contains Genesis, Exodus…, and there are also the books of prophecy that they wrote. At the end, the Old Testament finishes with the Book of Malachi. It records the work of the Age of Law, which was led by Jehovah; from Genesis to the Book of Malachi, it is a comprehensive record of all the work of the Age of Law. Which is to say, the Old Testament records all that was experienced by the people who were guided by Jehovah in the Age of Law. During the Old Testament Age of Law, the great number of prophets raised up by Jehovah spoke prophecy for Him, they gave instructions to various tribes and nations, and foretold the work that Jehovah would do. These people who had been raised up had all been given the Spirit of prophecy by Jehovah: They were able to see the visions from Jehovah, and hear His voice, and thus they were inspired by Him and wrote prophecy. The work they did was the expression of the voice of Jehovah, it was the work of prophecy that they did on behalf of Jehovah, and Jehovah’s work at the time was simply to guide people using the Spirit; He did not become flesh, and people saw nothing of His face. Thus, He raised up many prophets to do His work, and gave them oracles that they passed on to every tribe and clan of Israel. Their work was to speak prophecy, and some of them wrote down Jehovah’s instructions to them to show to others. Jehovah raised these people up to speak prophecy, to foretell the work of the future or the work still to be done during that time, so that people could behold the wondrousness and wisdom of Jehovah. These books of prophecy were quite different from the other books of the Bible; they were words spoken or written by those who had been given the Spirit of prophecy—by those who had gained the visions or voice from Jehovah. Apart from the books of prophecy, everything else in the Old Testament is records made by people after Jehovah had finished His work. These books can’t stand in for the foretellings spoken by the prophets raised up by Jehovah, just as Genesis and Exodus can’t be compared to the Book of Isaiah and the Book of Daniel. The prophecies were spoken before the work had been carried out; the other books, meanwhile, were written after it had been finished, which was what people were capable of. The prophets of that time were inspired by Jehovah and spoke some prophecy, they spoke many words, and they prophesied the things of the Age of Grace, as well as the destruction of the world in the last days—the work that Jehovah planned to do. The remaining books all record the work done by Jehovah in Israel. Thus, when you read the Bible, you’re mainly reading about what Jehovah did in Israel; the Bible’s Old Testament primarily records Jehovah’s work of guiding Israel, His use of Moses to guide the Israelites out of Egypt, who rid them of the Pharaoh’s shackles, and took them out into the wild, after which they entered Canaan and everything following this was their life in Canaan. All apart from this is records of Jehovah’s work throughout Israel. Everything recorded in the Old Testament is Jehovah’s work in Israel, it is the work Jehovah did in the land in which He made Adam and Eve. From when God officially began to lead the people on earth after Noah, all that is recorded in the Old Testament is the work of Israel. And why is there not recorded any work beyond Israel? Because the land of Israel is the cradle of mankind. In the beginning, there were no other countries apart from Israel, and Jehovah did not work in any other places. In this way, what is recorded in the Bible is purely the work in Israel at that time. The words spoken by the prophets, by Isaiah, Daniel, Jeremiah, and Ezekiel … their words foretell His other work on earth, they foretell the work of Jehovah God Himself. All this came from God, it was the work of the Holy Spirit, and apart from these books of the prophets, everything else is a record of people’s experiences of Jehovah’s work at the time. What kind of book is the Bible? The Old Testament is the work of God during the Age of Law. The Old Testament of the Bible records all the work of Jehovah during the Age of Law and His work of creation. All of it records the work done by Jehovah, and it ultimately ends the accounts of Jehovah’s work with the Book of Malachi. The Old Testament records two pieces of work done by God: One is the work of the creation, and one is decreeing of the law. Both were the work done by Jehovah. The Age of Law represents God’s work under the name of Jehovah; it is the entirety of the work carried out primarily under the name of Jehovah. Thus, the Old Testament records the work of Jehovah, and the New Testament records the work of Jesus, work which was carried out primarily under the name of Jesus. Most of the significance of Jesus’ name and the work He did are recorded in the New Testament. In the time of the Old Testament, Jehovah built the temple and the altar in Israel, He guided the life of the Israelites on earth, proving that they were His chosen people, the first group of people that He selected on earth and who were after His own heart, the first group that He had personally led; which is to say, the twelve tribes of Israel were Jehovah’s first chosen ones, and so God always worked in them, right up until the work of Jehovah of the Age of Law was concluded. The second stage of work was the work of the Age of Grace of the New Testament, and it was carried out among the tribe of Judah, one of the twelve tribes of Israel. That the scope of the work was smaller was because Jesus was God become flesh. Jesus worked only throughout the land of Judea, and only did three-and-a-half years of work; thus, what is recorded in the New Testament is far from able to surpass the amount of work recorded in the Old Testament. The work of Jesus of the Age of Grace is primarily recorded in the Four Gospels. The path walked by the people of the Age of Grace was that of the most superficial changes in their life disposition, most of which is recorded in the epistles. At the time, Jesus had done much work that was incomprehensible to His disciples, and had not provided any explanation. After He left, the disciples began to preach and work everywhere, and for the sake of that stage of work, they began writing the epistles and the books of gospel. The books of gospel of the New Testament were recorded twenty to thirty years after Jesus was crucified. Before, the people of Israel only read the Old Testament. That is to say, in the Age of Grace people read the Old Testament. The New Testament only appeared during the Age of Grace. The New Testament didn’t exist when Jesus worked; the people after He was resurrected and ascended to heaven recorded His work. Only then were there the Four Gospels, in addition to which were also the epistles of Paul and Peter, as well as the Book of Revelation. Only over three hundred years after Jesus ascended to heaven, when subsequent generations collated their records, was there the New Testament. Only after this work had been completed was there the New Testament; it had not existed previously. God had done all that work, the apostle Paul had done all that work, and afterward the epistles of Paul and Peter combined, and the greatest vision recorded by John in the island of Patmos was put the last, for it prophesied the work of the last days. These were all the arrangements of later generations, and they are different to the utterances of today. … What they recorded, it can be said, was according to their level of education and human caliber. What they recorded was the experiences of men, and each had their own means of recording and knowing, and each record was different. Thus, if you worship the Bible as God you are extremely ignorant and stupid! Previous：There are many people that believe that despite the Bible being written by man, all of the words come from the Holy Spirit and are the words of God. Is this correct? Next：Why do people always use the Bible to define God? Why is it wrong if one constrains God within the Bible? What is the rapture really? Most people aren’t quite clear about that. ...“Being caught up” is not what we think—being taken into the air from the earth and meeting the Lord in the clouds. Nor is it being taken up to heaven. It means that when God returns to earth to speak His words and do His work, we will hear God’s voice and will be able to follow Him and obey His work in the last days. This is the true meaning of being caught up before God’s throne. Since Paul stated that “All scripture is given by inspiration of God,” it is not wrong, because he was an apostle of God. God was telling mankind through Paul that scriptures were all inspired by God and are all the word of God. Do you dare deny this? “All scripture is given by inspiration of God” (2Ti 3:16), Paul’s words are in the Bible. Therefore, they were inspired by God; they are God’s words. Believing in the Lord is believing in the Bible. Regardless of the denomination, if it strays from the Bible, it’s heresy! We believe in the Lord, so we must always act according to the Bible, that is to say, we must keep the words of the Bible. The Bible is Christianity’s canon, the foundation of our faith. Leaving the Bible is not believing in the Lord; if we leave the Bible, how can we believe in the Lord? The Lord’s words are written in the Bible. Is there anywhere else where we can find His words? If our faith in the Lord is not based on the Bible, then what is it based on? 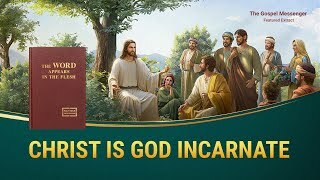 You have testified that the incarnate Almighty God has expressed millions of words and performed His work of judgment beginning from the house of God. This clearly exceeds the Bible. The pastors and leaders used to often tell us that all of God’s word and work is in the Bible. There is no word and work of God outside of the Bible. The salvation work of the Lord Jesus has already been completed. The Lord’s return in the last days will be to take believers directly up into the kingdom of heaven. So all along, we’ve believed that belief in the Lord must be based on the Bible. As long as we stick to the Bible we will be able to enter the kingdom of heaven and receive eternal life. Moving away from the Bible is leaving the Lord’s way. It’s resisting Him and betraying Him. What could be wrong with that? Paul made it very clear in 2 Timothy that “the entire Bible is inspired by God” (2Ti 3:16), This means that every word in the Bible is the word of God, and that the Bible represents the Lord. Believing in the Lord is believing in the Bible. Believing in the Bible is believing in the Lord. Moving away from the Bible means not believing in the Lord! Our belief in the Lord only requires us to hold firm to the Bible. Even if we do not accept Almighty God’s work in the last days, we’ll still be able to be saved and enter the kingdom of heaven. Is there anything wrong with this understanding? You communicate the Bible is the Bible, God is God. I understand that the Bible cannot represent God at all. But just what is the relationship between the Bible and God? I still don’t get it. You testify that the Lord Jesus has already arrived and He is Almighty God. and that He has expressed many truths and is doing the work of judgment of the last days. Is that true? I think this is impossible. We’ve always maintained that the words and work of God are recorded in the Bible, and that the words and work of God do not exist outside of the Bible. We believe that the Bible already contains the fullness of God’s salvation, the Bible represents God. As long as one adheres to the Bible, he will enter into the kingdom of heaven. The Bible already contains the fullness of God’s salvation, the Bible represents God. Our belief in the Lord is based on the Bible, straying from the Bible constitutes a denial and betrayal of the Lord! Is there anything wrong with this understanding? For 2,000 years, the religious world has upheld the belief that “the Bible is given by inspiration of God, that it is all God's word”, so the Bible represents the Lord. Those who deny that the Bible is given by inspiration of God and is His word will definitely be condemned and labeled as heretics by the religious world. Is my understanding of this wrong?